I don't know how my Mum and I started making these. Like all great innovations, they are born out of a need and a lack of 'proper' alternative. Like all good kiwi ingenuity these were first created with the bits and pieces we found in our cupboard one day when we were needed to provide dessert. If you hadn't guessed already, I am back from Dunedin just in time for Christmas. I have to say it is a mighty culture shock. Going from living with just myself in my empty student flat to a household of four where everyone is busy and has their own way of doing things definitely tests the old nerves. Pair that up with the need for a car and then topped Auckland traffic and I am surprised I am not being held for the murder of my relatives this delightful festive season. On the subject of relatives, it is my mother that loves banoffee pies. All things caramel really. 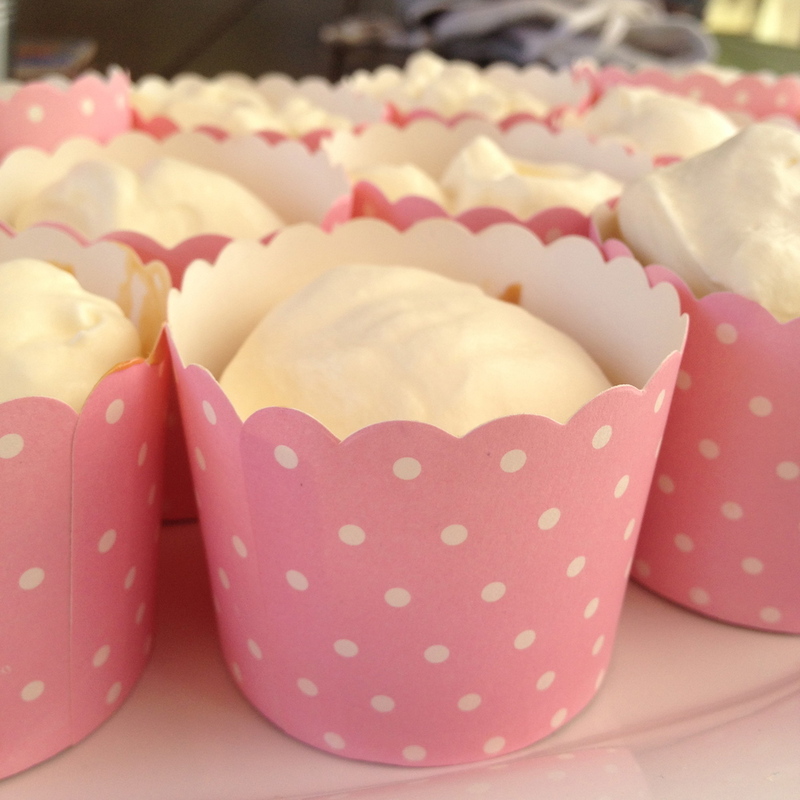 We took each element of the banoffee pie and placed small individual portions of it inside wee scalloped pink cupcake cases. Served up with baby spoons (we usually use the wee wooden ones) and you have an instant hit. We use condensed milk caramel. I prefer using the stuff that you can make when you boil sealed condensed milk tins in water for three hours over the condensed milk you can buy pre-caramelised. The pre-caramelised stuff has a rather strange texture and doesn't dollop very nicely. But such is life, that was all we had in the cupboard for today's street Christmas barbecue. A few smashed biscuits, some slices of banana, a spoonful of caramel and a dollop of whipped cream. So easy. Smash up your biscuits so that chunky crumbs form. Mix them with the melted butter until a raw cheesecake-like base is formed (you know the consistency). Spoon these evenly amongst the cupcake cases. Slice up your banana and place 2-3 slices on top of the biscuit crumbs in each case. Spoon on the caramel (about a teaspoon) into each case, add more if you have left over. Dollop about a tablespoon of cream onto the caramel. So easy right? Serve them up on a nice platter with some wee spoons and you are ready to impress! Assemble these just before serving. In "BBQ", "Banana", "Banoffee", "Caramel", "Christmas", "Deconstructed Banoffee Pies", "Dessert", "Summer"